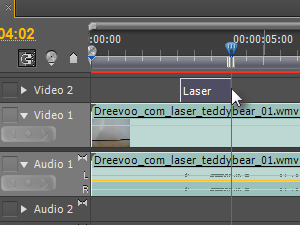 Let's learn the very basics of animations in Adobe Premiere and make a teddy bear shoot laser beams out of its eyes. 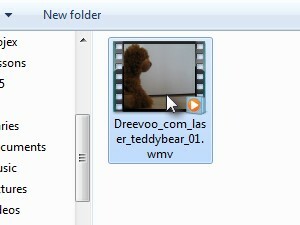 Click here to download the video clip used in this tutorial. 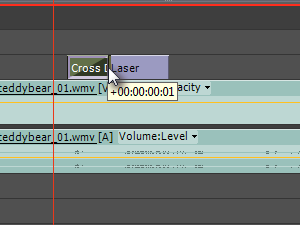 Open Adobe Premiere, create a new project, import the downloaded clip by pressing Ctrl + I, then select the clip and open it. 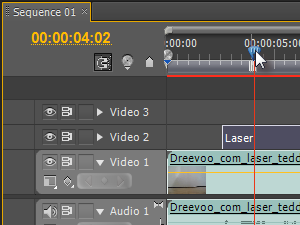 ... and drag and drop it to the Video 1 timeline (see picture). 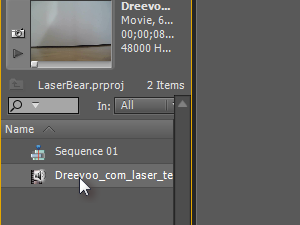 In the timeline go to 2:15 seconds (see picture). 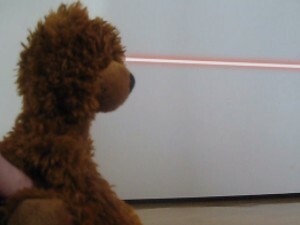 Teddy bear is now lock and loaded and ready to shoot some laser beams. 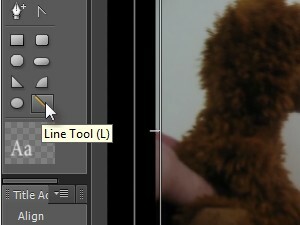 In the newly opened window, choose the Line Tool. 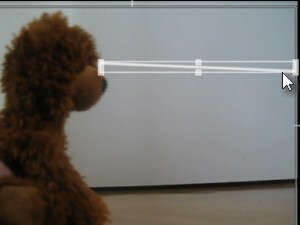 Draw a line, going from teddy's eyes to the right edge of clip (see picture). 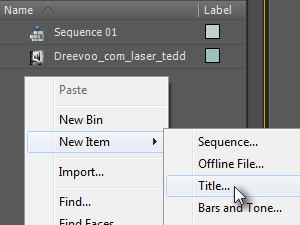 The line you just draw should remain selected. 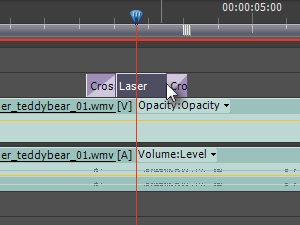 Choose an effect, to make the line look more like a laser. 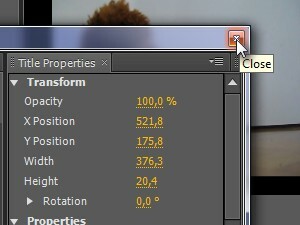 We could tweak the settings for a more realistic effect but let's leave it for some other tutorial. 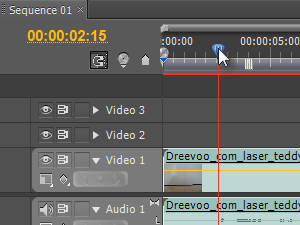 ... and drag and drop it to Video 2 timeline (see picture). 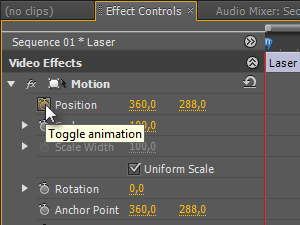 Now click the Effect Controls tab, go to Video Effects and Motion then click Toggle animation (see picture). 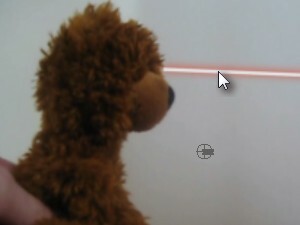 Now click and move the laser line toward the teddy bear's eyes. 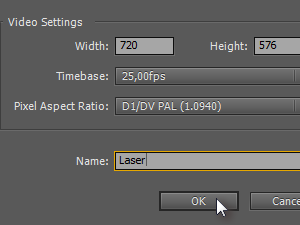 We just made the laser beam more dynamic. 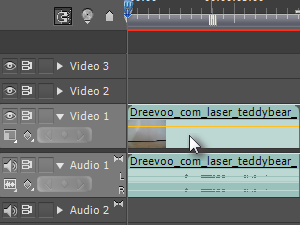 Shorten the Video 2 (Laser) so the right edge sticks to the red line. Just click and drag the right edge towards left side. 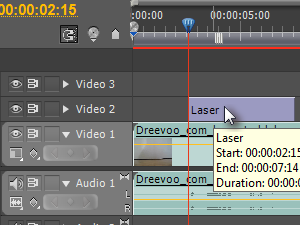 Let's add an effect to the laser beam so it appears and disappears more gradually. 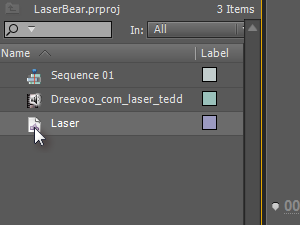 ... then drag and drop it to the beginning of the Laser (see picture). 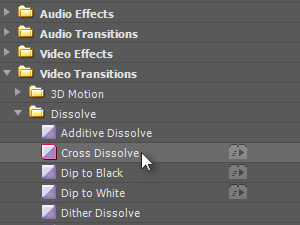 Shorten the Cross Dissolve effect by clicking and dragging the right edge a bit to the left (see picture). 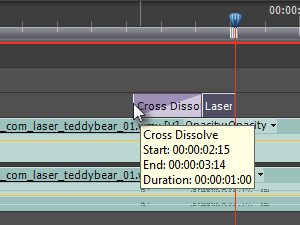 Add the Cross Dissolve effect to the end of the Laser the same way you did it on the beginning side. Don't forget to shorten it as well. This is one of my favorite lessons. 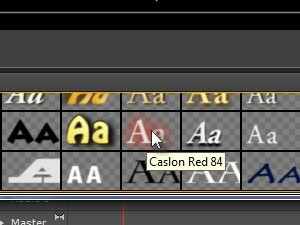 This effect is really good and on top of that it can be done very quickly. Thanks, I'm glad you like, there will be plenty more.